James Bond 25 Release Date, Title, Trailer, Cast, Wiki: Rumors about James Bond 25 movie have already been started, but we always try to deliver the truth to you. Hearing the movie name give us a wave of excitement, thrill, adventure and everything you can think of. JB is a very famous and powerful British franchise which introduced many faces in the James Bond franchise/series. It still manages to keep its spark in the heart of people. They never let people forget that Bond is an expert secret agent, best in chasing people and an international man of mystery who always get his work done. 1.1 Who Is The Next James Bond? 1.6 Bond 25 Cast – who’ll return? 1.9 Who Will Sing Bond 25 Theme? Now the last 4 movies of “JamesBond” featured Daniel Craig taking the batch of 007 on his chest but it’s still on debate right now that if he would make it for fifth or not. If Sam Mendes, the director of Skyfall and Spectre is to be believed, then Daniel Craig won’t be returning. In October 2016, all the speculations regarding “Who Will Be The Next Bond” were put to rest when Daniel Craig was announced to reprise his role for the last time. In July 2018, Craig visited Central Intelligence Agency (CIA) to learn what makes an agent a real spy. He is supposed to be an MI7 agent but visited its American counterpart. Daniel Craig featured in Bond movies had always hit the screen in October. The release date has been confirmed and it will premiere on October 25, 2019, in the UK and November 8, 2019, in the US. Sony Pictures is going to co-produce the 25th film of the James Bond series with MGM and Eon for the last time. Their contract got over with the release of Spectre, then the rights were put open, with Eon and MGM getting only a film contract. See: Avatar 2 Wiki, News & Updates. There has always been excitement regarding the international locations for the 007 franchise. Let’s see where it will be shot and who will be in it. Early rumors say that we would see locales of Dubrovnik, Croatia. Also, the mayor of Dubrovnik said, “James is in an advanced stage of negotiations”. The Production will be at Pinewood Studios, the home of JamesBond. Neil Purvis and Robert Wade have been confirmed to return and write the screenplay. They have been penning the script since The World Is Not Enough. They have written for Die Another Day, Casino Royale, Quantum of Solace, Skyfall, and Spectre. As of now, there are clear reports on how and what will be the storyline so far. However, Associate Producer Gregg Wilson has said that they have already started shaping the story. “We’ve just begun to doodle with ideas for the next movie,” he said. Wilson didn’t reveal any details regarding the main threat although he seemed to come more original with the character. The makers will make our character to do something new in new situations. He also said that they may go back to Ian Fleming’s novels for inspiration. 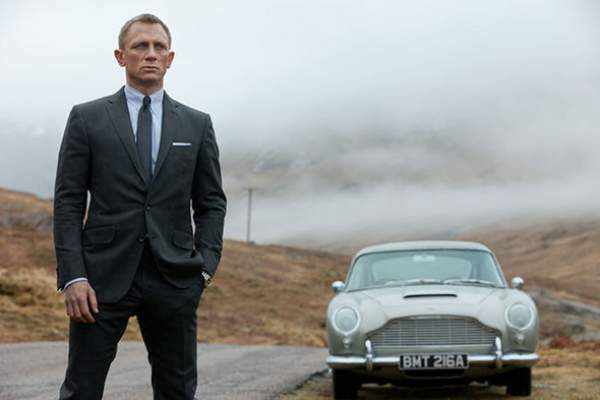 Bond 25 Cast – who’ll return? Besides Craig, Naomie Harris and Ben Whishaw are the two stars confirmed for the upcoming movie. Waltz has signed for two more Bond films, in January 2017. The whole cast and crew will clear soon. But, on record, Waltz said that he won’t be returning in the next. With Waltz out of the picture, Helena Bonham Carter is being rumored to play the next antagonist. The next installment’s title hasn’t been finalized yet, but the film will be based on the novel Never Dream of Dying by Raymond Benson released in 2001. Benson has also written Tomorrow Never Dies, The World is Not Enough, and Die Another Day. According to The Mirror, Bond 25’s working title is Shatterhand, and that the film is based on 2001 novel Never Dream of Dying. However, there has been no official confirmation over this. NDoD is the 7th novel in the book series and it takes Bond to Paris. The director of Dunkirk, Inception and the Dark Knight trilogy – Christopher Nolan is being rumored to direct the film. Cutting all the rumors, Danny Boyle was announced to direct the upcoming film in the franchise in May 2018. He will be co-writing a separate screenplay with John Hodge. The production will begin on December 3, 2018.
Who Will Sing Bond 25 Theme? Barbara Broccoli, the film series producer wants to bring Adele onboard for his new film. She sang the Skyfall theme and it won an Oscar, a Golden Globe, and a Brit Awards in 2013. However, Adele refused to recreate her success, last year when asked. According to DailyMail, Beyonce is being lined up for the theme of the Bond next. It’s unlikely to appear before 2019. We won’t be seeing any teaser, clipart, poster, concept art anytime soon. Do tell us what you guys think about it and keep visiting our site for every update. Stay tuned to The Reporter Times for latest JB25 news.